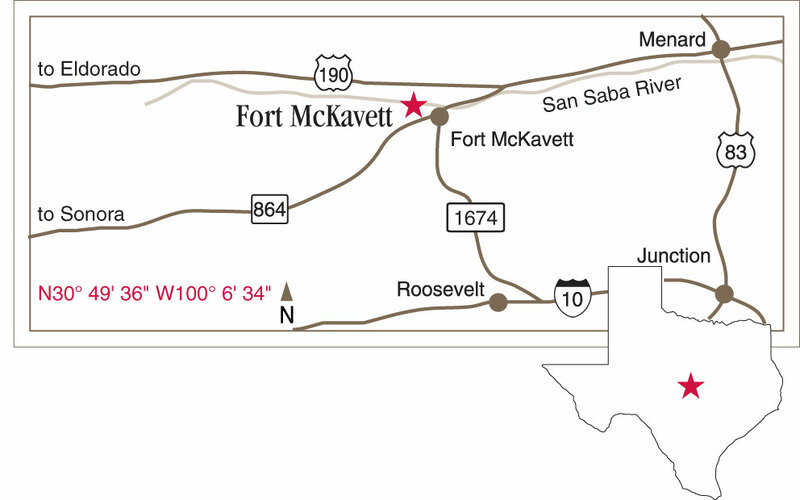 GPS: N30° 49' 28.2" W100° 6' 37.8"
Standing atop a windswept remote hill, the remains of a 150-year-old West Texas fort beckon curious visitors to the site that is now considered one of the best preserved and most intact examples of a Texas Indian Wars (1850–1875) military post. Take in the spectacular Hill Country vistas and experience the history of early West Texas life through the real stories of the infantrymen, Buffalo Soldiers, women, and children who lived at what Gen. William T. Sherman once described as "the prettiest post in Texas." Restored structures include the officers’ quarters, barracks, hospital, school house, dead house, sink, and post headquarters. In addition, there are ruins of several buildings, most notably the commanding officer’s quarters, which burned in 1941, and the barracks along the north side of the parade ground, which once was the longest building west of the Mississippi River. Another year, another West Texas Heritage Days at Fort McKavett. Download the Fort McKavett visitors guide (PDF) for a snapshot of the site. Help us preserve Texas history. Donate now to support the preservation, education, and outreach activities of Fort McKavett.